Abrus Cantoniensis (Ji Gu Cao) helps in reducing our body heat, and it is thirst quenching. It also helps to cleanse our liver and gallbladder. Come and join us this Sunday for our Abrus Cantoniensis (Ji Gu Cao) Herbal Tea Tasting event at SS15 and USJ store! 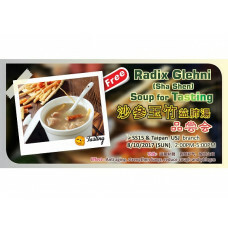 Radix Glehni (Sha Shen) helps in strengthening the lungs, reducing cough and phlegm. It also has good effects in anti-aging. 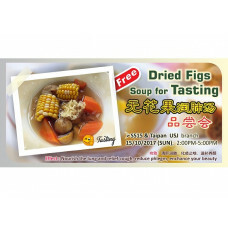 Come and join us this Sunday for our Radix Glehni (Sha Shen) Soup tasting event at SS15 and USJ store! 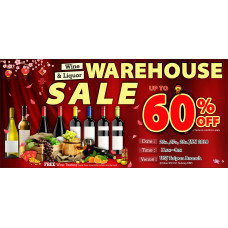 Warehouse sales is back again! Don't miss out on amazing offers this Fri, Sat & Sunday (26,27&28/01 January)! We will also be having free tasting from 2pm onwards! See you guys there! Luo Han Guo helps to clear liver heat and clear summer heat. It also produces fluid to alleviate thirst. 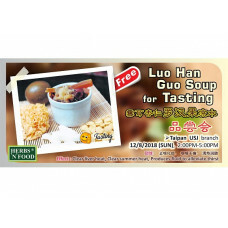 Come and join us this Sunday for our Luo Han Guo soup tasting event at USJ store! All of you have been invited to our FREE Wine tasting session at our USJ Branch. 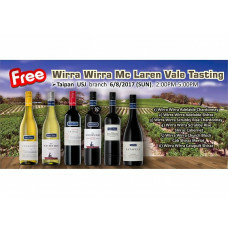 We will be tasting wines from Wirra Wirra, Mc Laren Vale, Australia! All of you have been invited to our *FREE Wine tasting* session at our *USJ Branch*. Gum Tragacanth is good for hydrating your body. It also helps to reduce fat and lubricate the intestines, and also to enhance your beauty. Come and join us this Sunday for our Gum Tragacanth Tasting event at USJ store! All of you have been invited to our FREE Wine tasting session at Setia Eco Park Lifestyle Hub. We will be tasting wines from Australia & Italy!